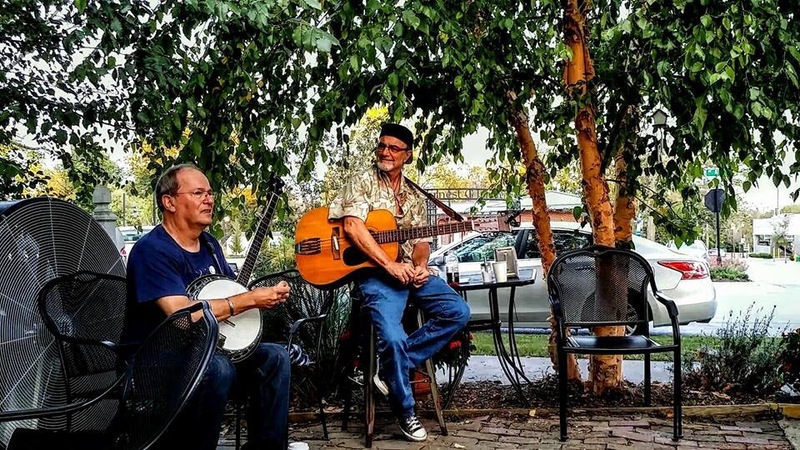 I’ll play banjo and Bruce Harvey Upright Bass with Hairy Vetch Strings Band thursday, 22nd, September at the Farmer Market from 11:00am to 1:00pm. 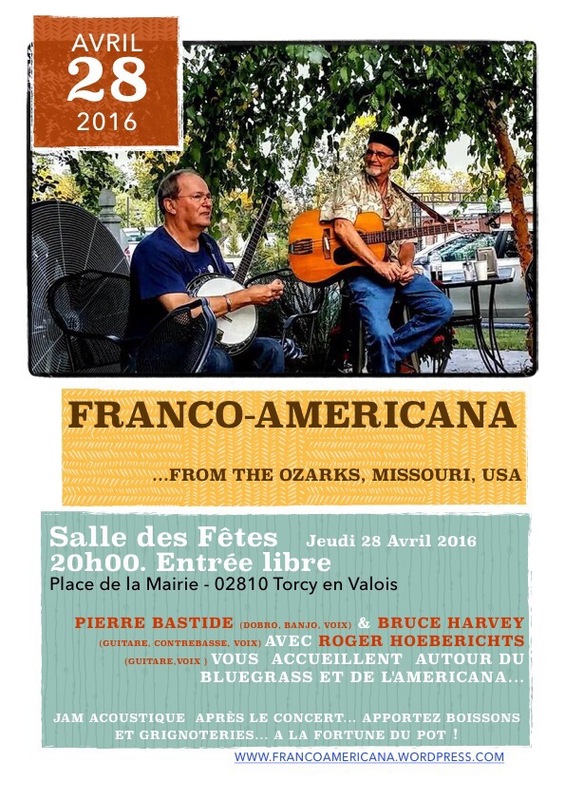 See you there..
Bruce and I will play at Torcy en Valois on the Belleau Wood battlefield Thursday, 28th, April. With The Hairy Vetch String Band. 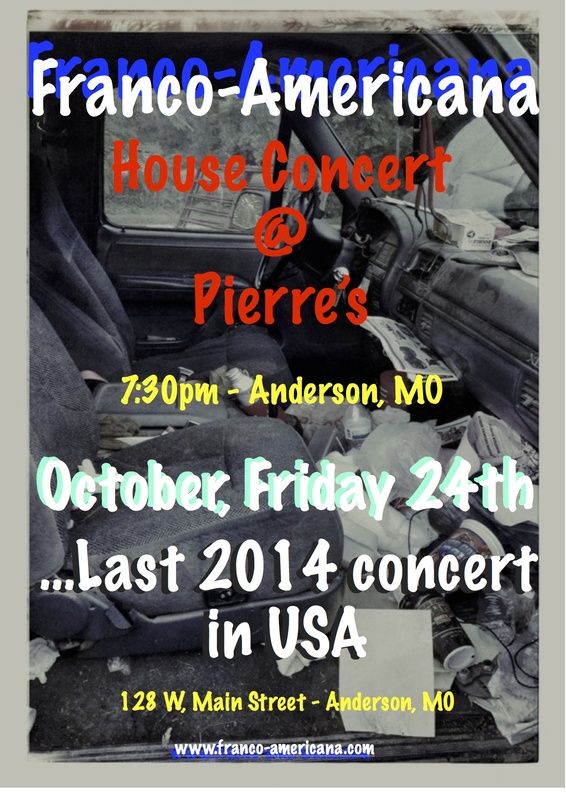 October, Wednesday 7th we’ll play at Crêpes Paulette 213 NE A St, Bentonville, AR from 5:30pm to 7:30pm pm. See y’all! 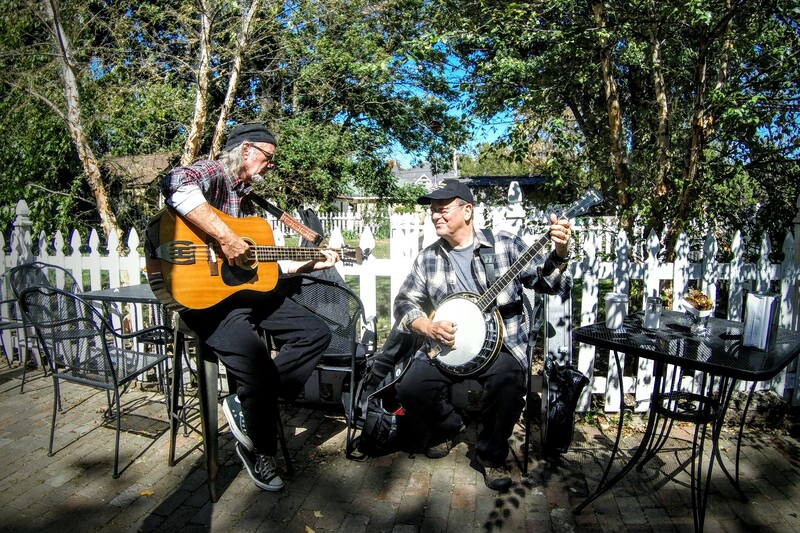 We’ll play at Music At The Park @ the 67th Annual Ozarks Folk Festival Friday the 10th. 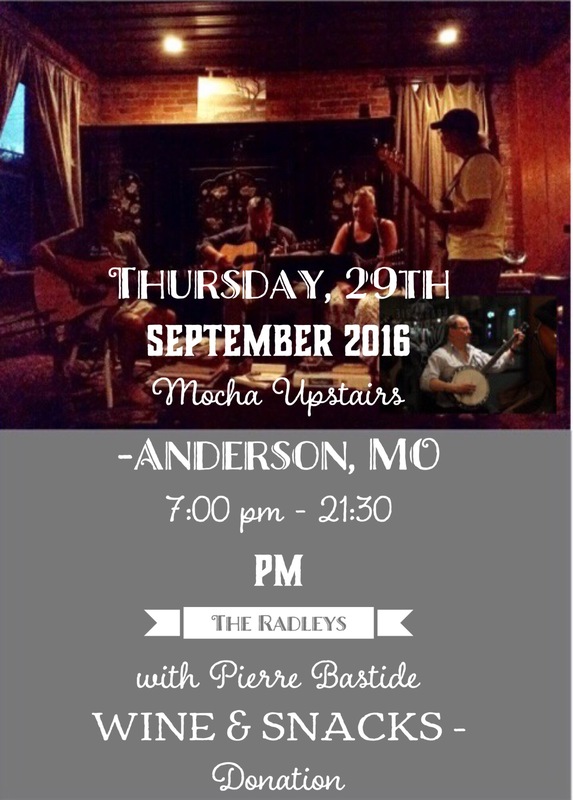 Franco-Americana plays at 114 Cafe download Neosho Saturday, 11th at 7:00 pm. Nous serons du 2 au 5 octobre à l’Ibma World of Bluegrass. 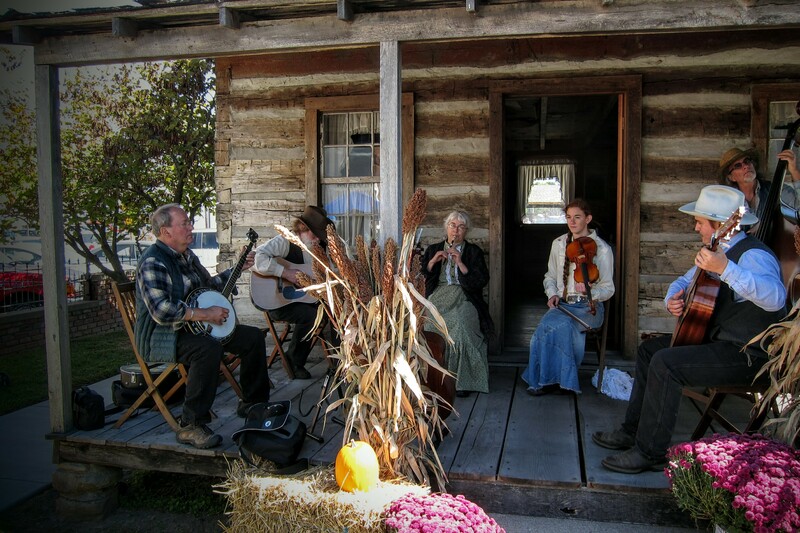 We head to IBMA World of Bluegrass from October 2nd to 5th.